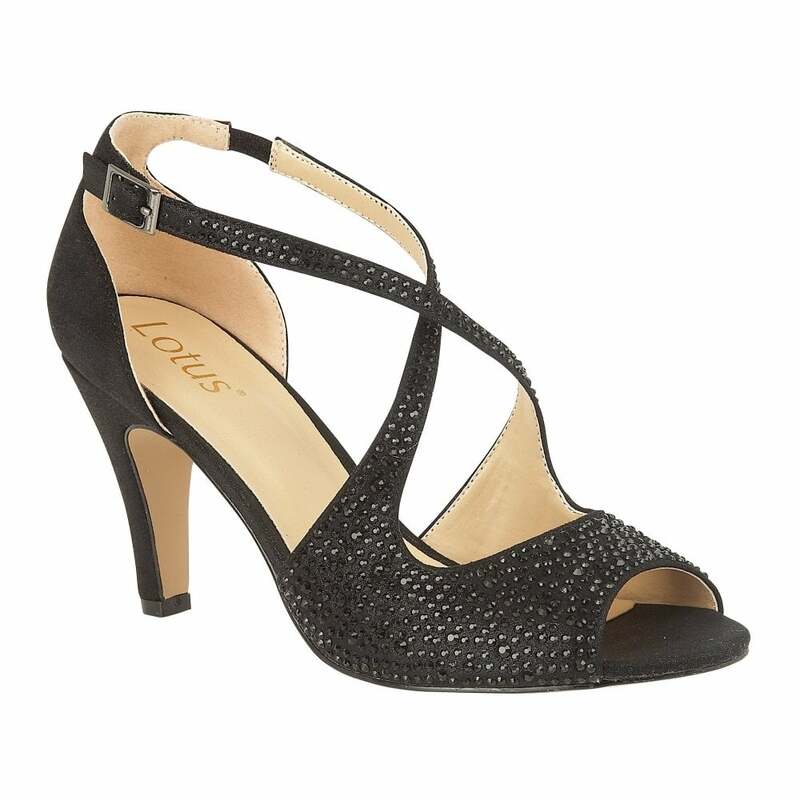 Emulate red carpet glamour in the Lotus Rosa shoes. Gloriously embellished with diamantes and featuring cross over straps that fasten at the ankle, this Lotus ladies’ open toe, black shoe is one alluring style that you’ll love wearing now during wedding season and then later for all the fabulous festive parties that you’ll be attending. Coordinate the Lotus Rosa open toe shoe with the matching handbag Chandra.